Dollar to Peso to Dollar?!? | To Be, To Be. Tutubi. I will have my first out of the country trip (ever!) this February and this early, we have booked hotels and tickets already. And we are saving up for pocket money. So I am pooling together my blog income and will encash some of them soon. But I was dismayed to find out that I will lose a substantial amount from the conversion and fees alone! 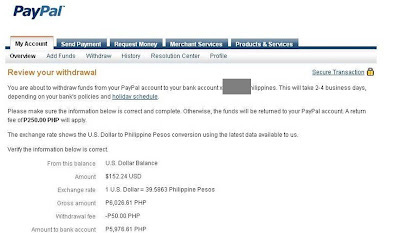 My bank will charge me P250, and Paypal P50 and then the exchange rate is only P39.5863! 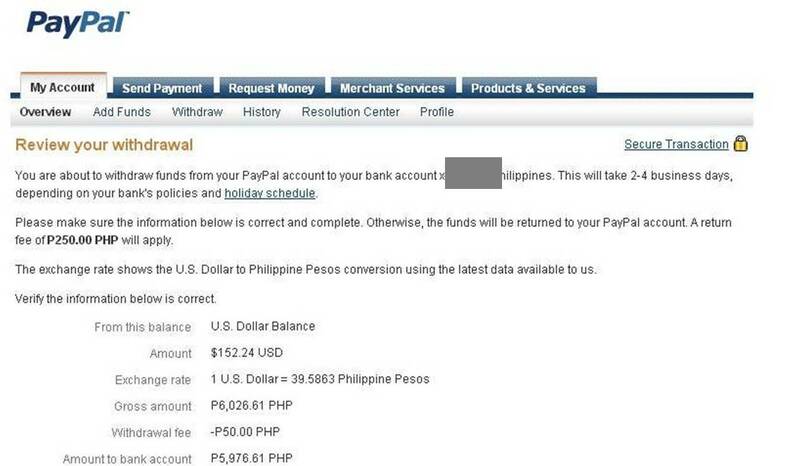 Too bad I cant get this in dollars as Paypal payout to my bank account is only in Pesos. Hayyyyy! If I only I can just use it to buy that Kindle Fire, then I will be so happpppyyyyyy!